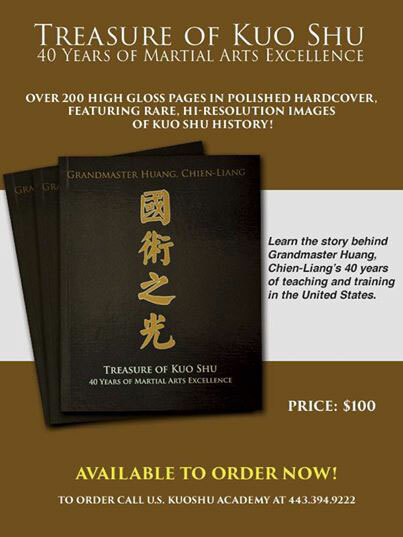 Last year, Grandmaster Huang celebrated his 40th year of martial arts instruction in the United States. To document this milestone, a commemorative anniversary book has been published. Get this beautiful, hardbound publication immediately before they are sold out. Also receive a copy of Shi Ye Huang’s 25th Anniversary publication, while supplies last.